Radiofrequency Neurolysis is used on a variety of different nerve locations to cause neural ablation or destruction of nerves that have been identified as “pain generating nerves.” These nerves are the potential cause of your pain. 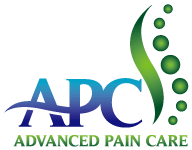 Usually the way to diagnose whether or not these facets are pain generators is by doing what is called a diagnostic facet or diagnostic nerve injection. The diagnostic injections are completed under fluoroscopic guidance in our certified fluoroscopic suite. A small needle is guided down into the specific nerves that potentially are the cause of the pain and a small amount of numbing medication is injected. Evaluating the result of pain improvement in that specific area and improvement in functioning as it relates to that pain determines whether or not those specific areas are the cause of your pain. If identified as such, then the procedure of Radiofrequency Neurolysis can be considered by the patient. This is a very safe procedure and in this office we have completed thousands of these procedures without any complications. There is always a potential for nerve problems and for nerve injury, but because of using preoperative stimulus and multiple x-ray viewing, we have never had a complication from this procedure. The neural destructive procedure is similar to the actual injection of the nerve except that radiofrequency waves are used to generate movement in the particular nerve cells, which causes it to heat up and self destroy. Because this is more of a selective process than using just thermal heat in any specific area, it causes a more specific lesioning process.